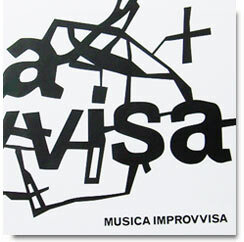 Musica Improvvisa is a cutting-edge project of multi-sensorial improvisation, an open dialogue among different musical experiences, narratives and aesthetics that charters the unexplored soundscape of the telluric territory of the new Italian improvised Music. Ten groups that spans from the South to the North of Italy, from the well-known to the totally obscure, whose music goes from an harsh assault to the ear to a visionary post-electronic/post everything free-form structure. The brilliant outcome has been lovely packaged by Die Schachtel in a deluxe box featuring 10 full length CD albums in a series of painstakingly designed individual CD/LP sleeves (one has also an additional DVD of visual scores) PLUS a 24-pages booklet AND a poster. XUBUXUE (CD+DVD) (Pietro D'agostino, Marco Ariano, Elio Martusciello, Gianfranco Tedeschi).